The Welcome Bonus is the big promotion offered by Spin Casino. It is broken down into three offerings, based on the first three deposits. On the first deposit, there is a 100% match up to £250. The 2nd deposit offers a 25% match up to £250, and the 3rd deposit offers a 50% match up to £500. 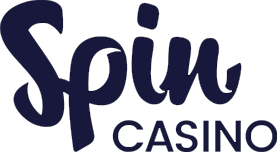 The Spin Casino offers a large selection of games through their instant play platform as well as their mobile casino version. For those who enjoy the slots, there are many different varieties to choose from that include classics, jackpots, and video poker. Table games include Blackjack and Roulette and there is plenty of live casino action. Spin Casino uses top quality software providers to power the games at their site. The main one they use for their mobile version is Microgaming, This is a software provider that is not only known for its great themes and amazing graphics but also for the production of some very lucrative progressive jackpot slots. With a casino like this that is offering such a wide selection of games it is only natural they would make sure there are plenty of choices for deposits. Deposits can be made through Visa, Mastercard, Paypal, Neteller, Skrill, Paysafe, Entropay, Payz, Click and Buy and also direct bank transfers are accepted. Players want to have options to withdraw their money and Spin Casino provides plenty of these. They include, direct bank transfer, Click and Buy, , Payz, Skrill, Neteller, Paypal, Visa and Mastercard. Normally the same method that is used for depositing will also be used for withdrawals. Otherwise players will have to provide an alternative. Currently it appears as though Spin Casino is only available in the English language. This may be because there are many countries that are restricted from playing at this casino. If a player is allowed to play at the casino they will need some knowledge of the English language to understand the site. The casino does support a few different forms of currencies such as the Canadian dollar, British pounds sterling, US dollars and Euros. These currencies should support the depositors from the countries that are allowed to become players at the casinos. More currencies are not supported due to the countries that are restricted from playing here. The Spin Casino not only has an very exciting instant play platform for their casino games they have a very extensive mobile version that can be easily accessed with most standard mobile devices. For those who enjoy live play casino action this online casino offers some great selections in this category. Spin Casino has put every effort in place to provide good support and customer service to their clients. There is live chat that can be accessed directly from the site. For those who prefer to use email then can contact support in this manner. The site also provides a telephone number for those who prefer this.